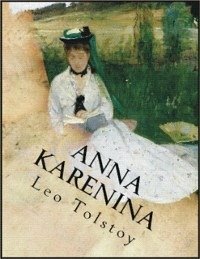 Tolstoy's style in Anna Karenina is considered by many critics to be transitional, forming a bridge between the realist and modernist novel. The novel is narrated from a third-person-omniscient perspective, shifting the narrator's attention to several major characters, though most frequently focusing on the opposing lifestyles and attitudes of its central protagonists of Anna and Levin. As such, each of the novel's eight sections contains internal variations in tone: it assumes a relaxed voice when following Stepan Oblonsky's thoughts and actions and a much more tense voice when describing Levin's social encounters. Much of the novel's seventh section depicts Anna's thoughts fluidly, following each one of her ruminations and free associations with its immediate successor. This groundbreaking use of stream-of-consciousness would be utilised by such later authors as James Joyce, Virginia Woolf, and William Faulkner.